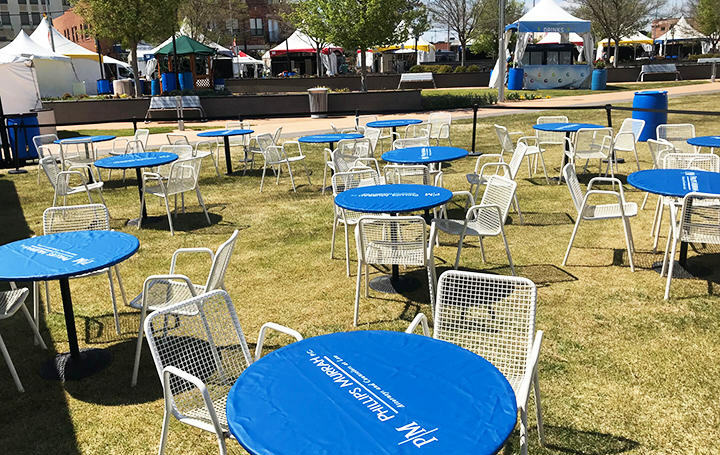 Phillips Murrah sponsors Six Day Cellars beverage area at 2018 Festival of the Arts - Phillips Murrah P.C. Phillips Murrah’s Six Day Cellars tent sits ready for the kickoff of the 2018 Festival of the Arts. In its 51st year, Arts Council Oklahoma City’s Festival of the Arts kicked off Tuesday morning, April 24. After a rain-soaked weekend leading into the opening day, the clouds parted, the sun came out, and Tuesday was picture-perfect for hosting OKC’s favorite festival tradition. Lawn seating is a feature of the Six Day Cellars tent at the 2018 Festival of the Arts. This year marks the first year our law firm, Phillips Murrah, has come in as a major sponsor of the Festival of the Arts. While our attorneys and staff have, for years, been individual supporters of Arts Council Oklahoma City’s mission of funding, teaching, learning and appreciating the arts and artists of our community, this year we are proud to step up and become a major event contributor. 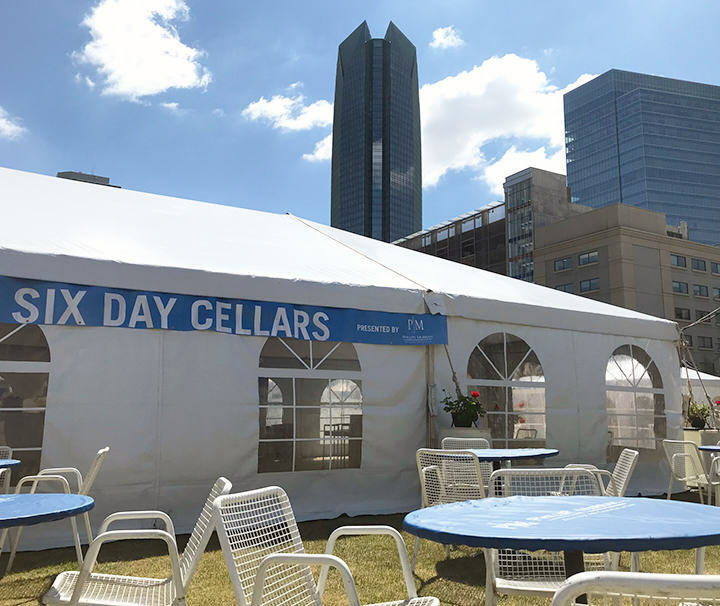 Phillips Murrah is the presenting sponsor of the 2018 Six Day Cellars tent and lawn area, a 60’x50’ expanse where festival visitors aged 21 and older can take advantage of our centrally-located area to relax and enjoy a glass of wine or cold craft beer. Our tent patrons can enjoy our indoor and outdoor seating within the wonderful décor of our roomy tent that features tables and couches, and our thirty-foot outdoor seating area that overlooks Sculpture Park. Proceeds from all bar sales benefit Arts Council of Oklahoma City. Six Day Cellars is situated at the heart of the festival along the east side of Bicentennial Park, across the street from City Hall and the festival’s main stage. See links below for a downloadable map of the festival area.